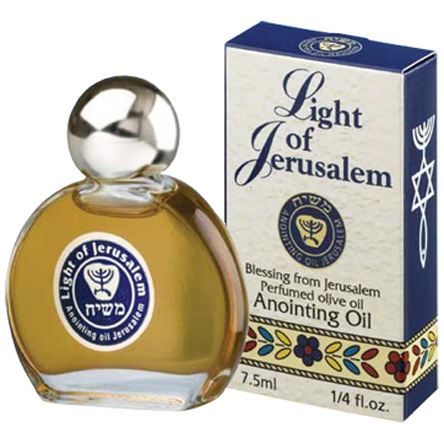 'Light of Jerusalem' Anointing Oil from the Holy Land is a high quality Frankincense, Myrrh, Cinnamon and Cassia anointing oil. Useful especially for those who are working with spiritual needs in church, preparation for a ministry, dedication and holiness. Anointing Oil from the City of God. Size: 7.5 ml. / 1/4 Fl. Oz. Shipped to you direct from Israel.